1929-6 The first meeting between Kitani Minoru and Go Seigen. 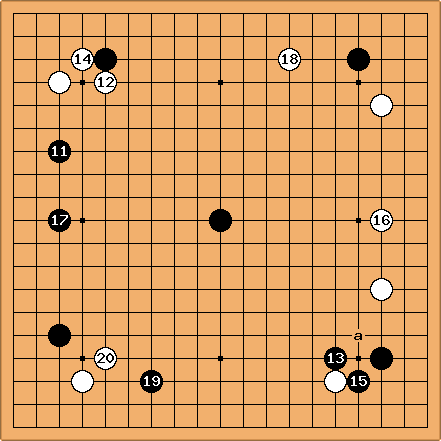 Go had only been in Japan for a few months and reportedly had to ask around to find out if it was OK to start on tengen in terms of Japanese professional etiquette. 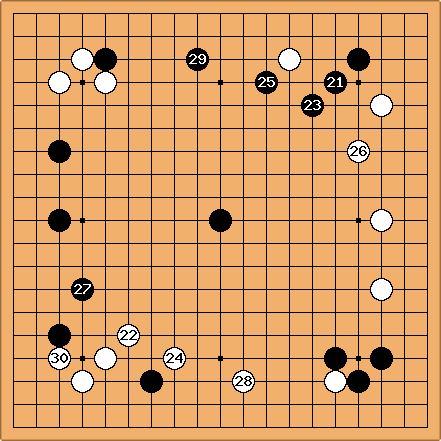 In Go's "Collected Games" (This is game 25 by the way), there is a comment by Honinbo Shusai that Black should already deviate at 11 and play a instead. Go continues to imitate White through move 63. 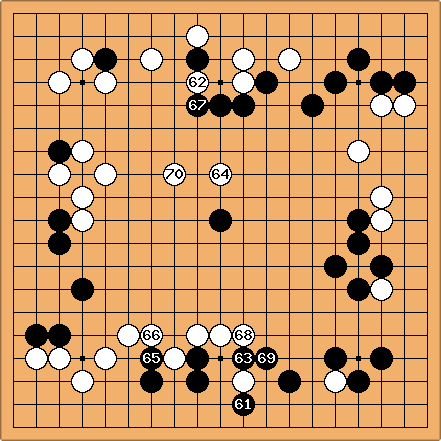 Meanwhile Kitani does not resort to any of the known techniques to directly counter Go's strategy (see Countering mirror go). 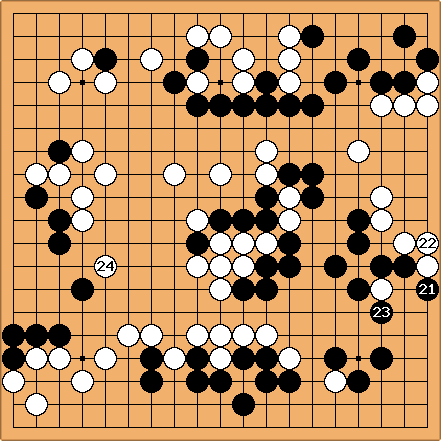 Instead he first tries to develop the game in a direction that will force Go to deviate on terms favorable to White. It must have been an interesting encounter to watch. Move by move White had to be asking himself, "If this is mirrored does the overall position change in my favor? ", and at the same time worrying, "Does this move give Black the opportunity he has been waiting for to deviate on favorable terms?". 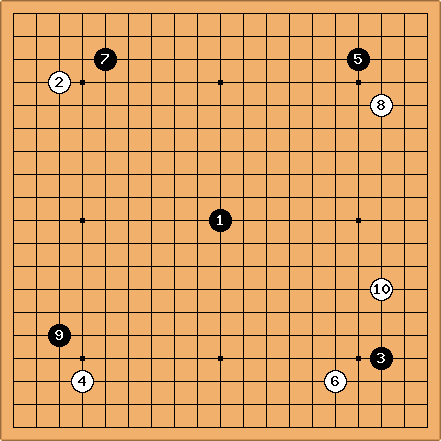 For his part, Go Seigen had to be wondering at each move whether to abandon or continue mirroring White and worrying whether continuing to mirror White was frustrating White's strategy or falling into his long-term trap. 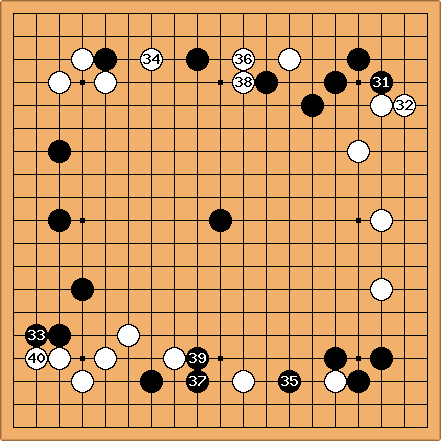 Both "Collected Games" and "Igo Hyakunen" (vol 2, game 5) comment that when Black finally deviates with 65, it would have been better to push at 68 instead. 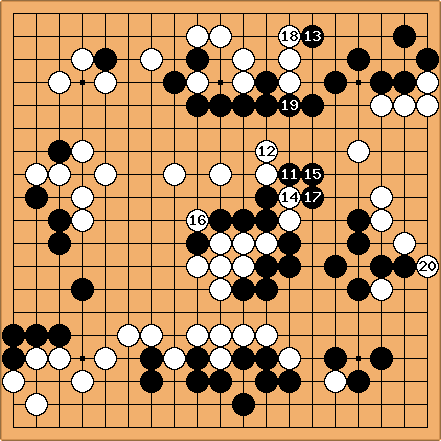 Go played 113 expecting it to be kikashi after which he would play 119. Kitani countered with the tesuji of 114 which uses the gap at 119 to force Black's answer at 115 instead of 117. 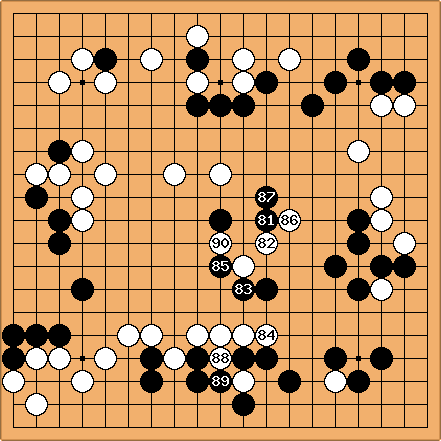 If Black tries 115 at 117 directly, White will play atari against 111 and cut at 119. The submissive answer at 115 makes 116 sente. 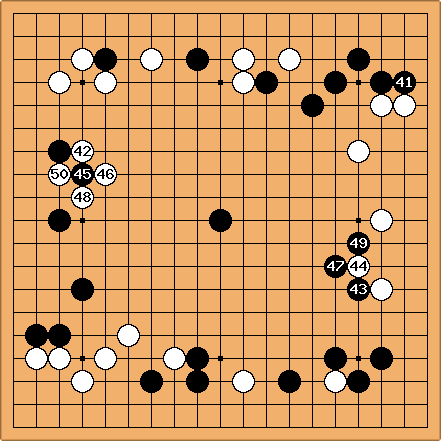 When Kitani played 124 the extra center territory gained in conjunction with the sente cut at 116 gave him a clear lead. The game continued for a further 158 moves with two big and interesting ko fights but Kitani seems to have been in control throughout. The final result was a three-point win for White. The complete SGF listing is here.